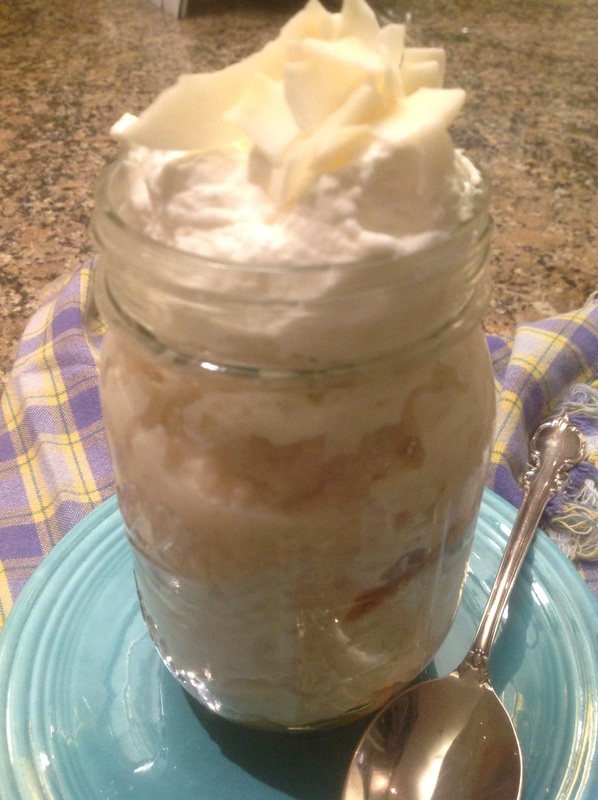 Serving dessert in Mason jars is on trend and makes for a fun presentation with a dash of nostalgia. 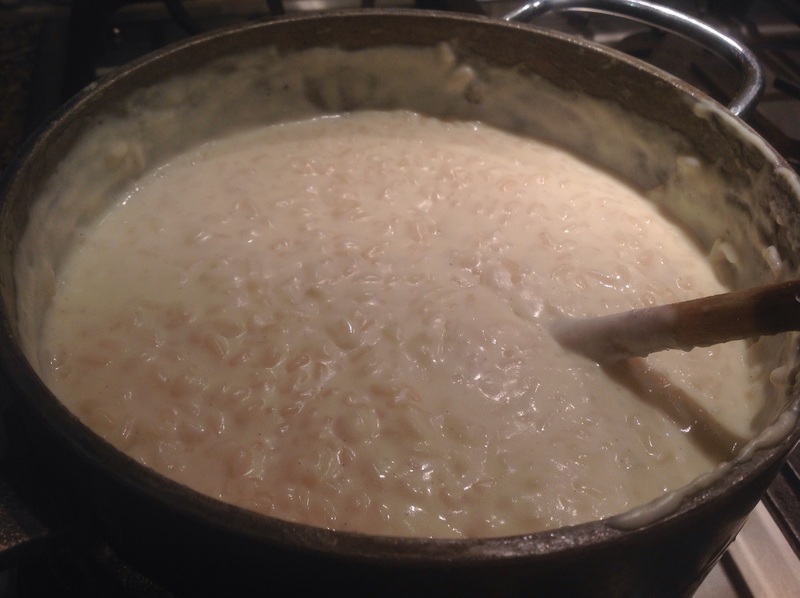 For my husband’s recent birthday I made him one of his favorite desserts, a creamy rice pudding. 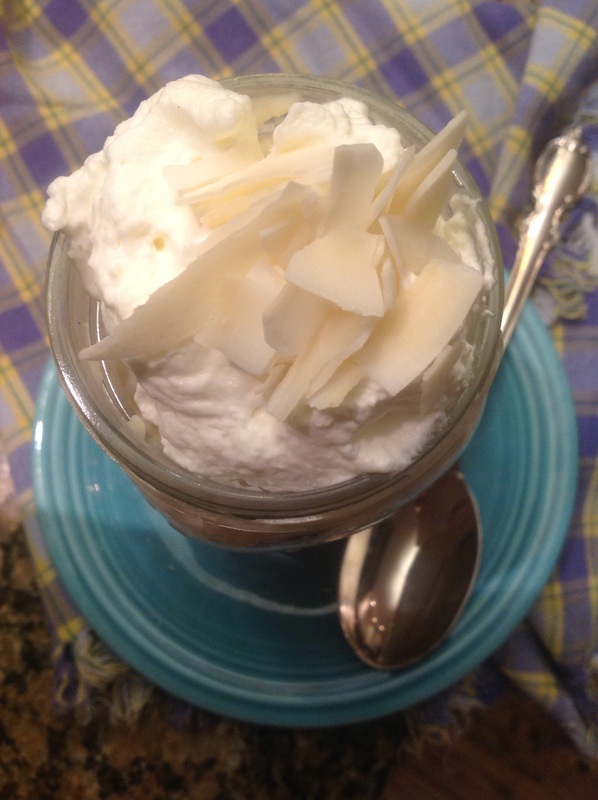 To kick it up a notch and make it festive, I served it parfait-style with layers of caramelized pineapple and a topping of shaved coconut in Mason jars. The dessert was a hit. Portions served in these jars tend to be on the large side. Mason or Ball jars are readily available at supermarkets, hardware or general department stores for a song. Bring the milk, butter and sugar to a gentle boil. 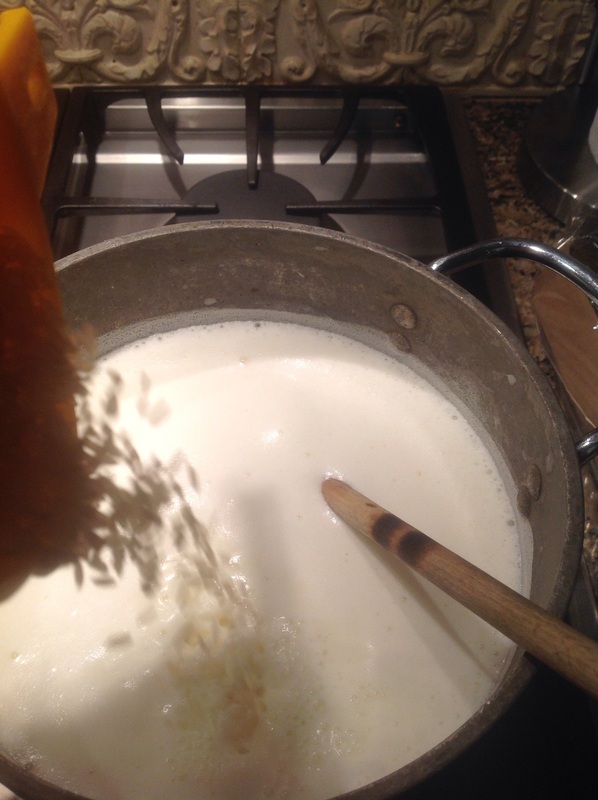 Add the rice. Reduce heat to low and cook, uncovered, for 45 minutes, stirring often. Mix together the egg, cream and vanilla. 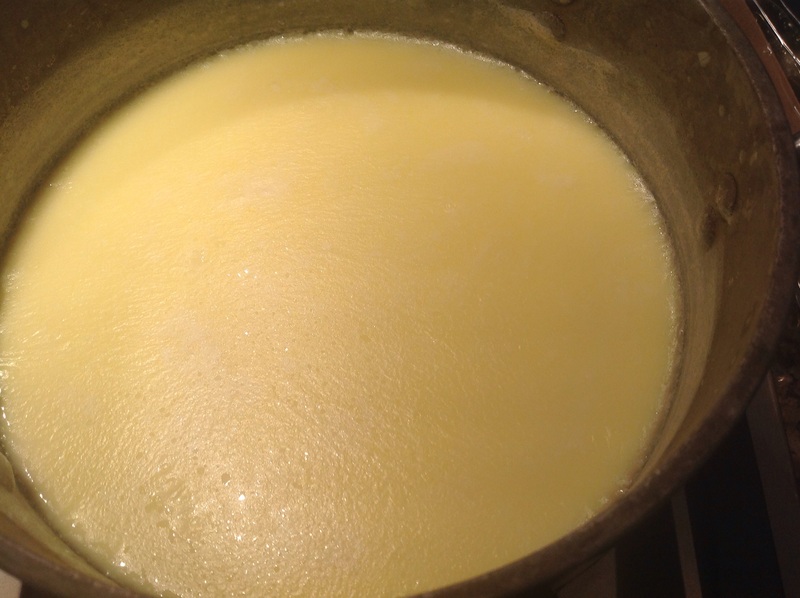 Add to rice mixture and assess creaminess/thickness. If it appears too runny as mine did, return to boil, stirring constantly, for a few more minutes, until The desired consistency is achieved. The pudding will thicken slightly as it cools. Remove from heat, transfer to a bowl and cool in refrigerator at least 2 hours or overnight. 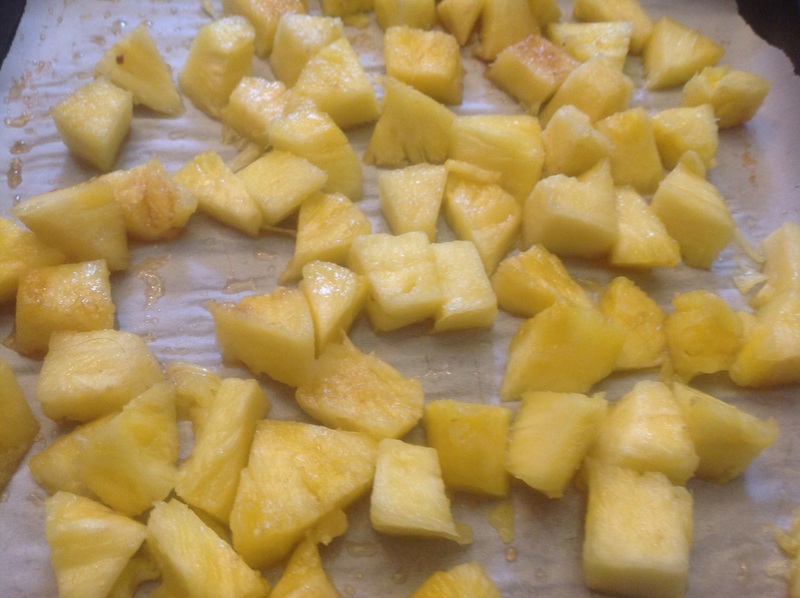 Sprinkle 4 c of fresh pineapple cut in bite-size chunks with some brown sugar and place on a parchment-lined baking sheet. Broil for 5-7 minutes until caramelized. Watch closely so the pineapple does not burn. Cool. 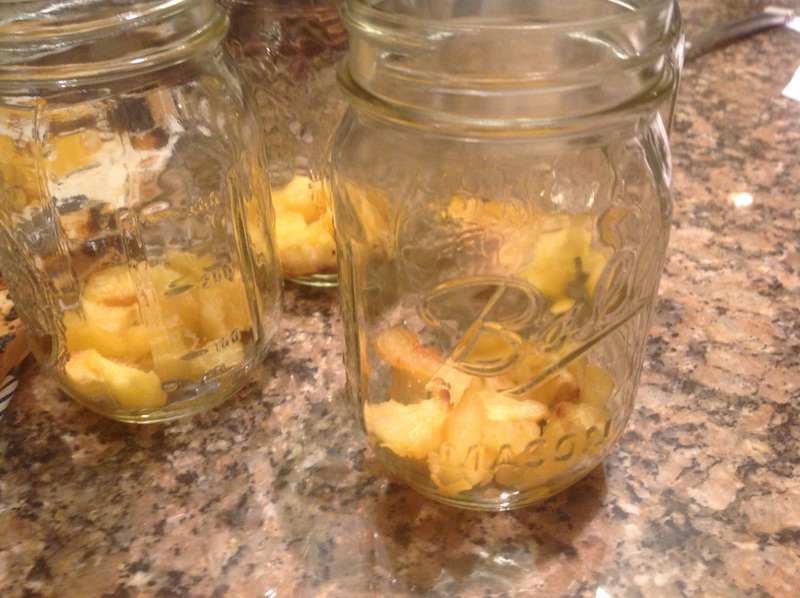 Place a layer of pineapple in your jar. Spoon on a layer of rice pudding. Repeat. When ready to serve, top with a dollop of whipped cream and a sprinkling of the coconut chips. For presentation, the filled jars are placed in a garden wire mesh caddy. Another Mason jar is filled with cutlery. The orchid and pineapple are a nod to the tropical flavours of the dessert. 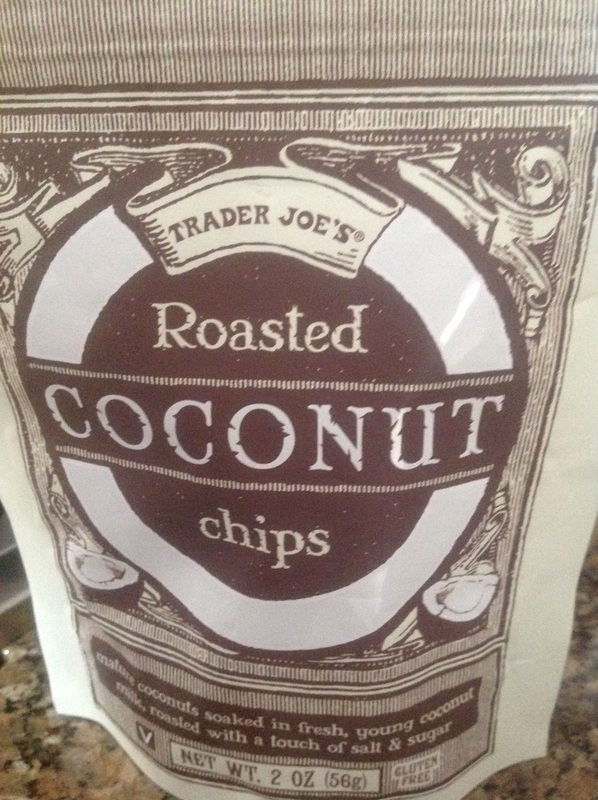 If you can find them, these roasted coconut chips are really delicous with a nice crunch. You could toast regular coconut as a substitute. 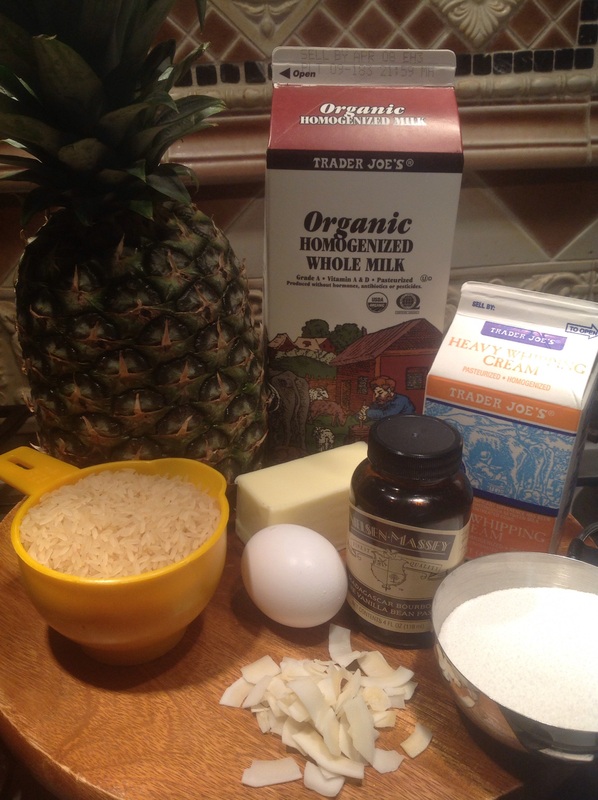 Bringing this tropical rice pudding to Fiesta Friday at its great new site, hosted by Angie@Fiesta Friday.net and co hosted by Jess@Cooking is my Sport and Prudy@Butter Basil and Breadcrumbs. You will want to party with us when you see all the talent and creativity in these kitchens! 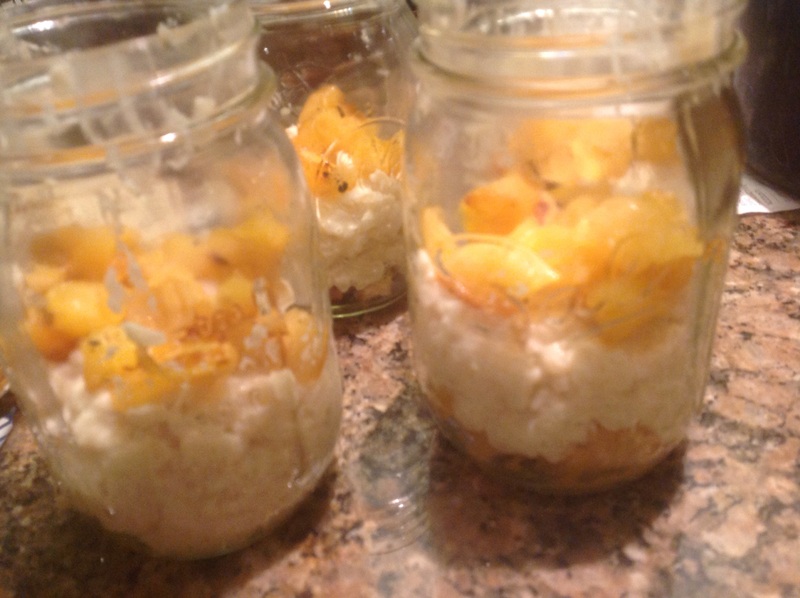 This entry was posted in Recipes and tagged coconut and pineapple rice pudding, Individual rice puddings, Mason Jar rice pudding parfaits with pineapple and coconut by Johanne Lamarche. Bookmark the permalink. I’d love to dig in! Trust me. Oh My Goodness Johanne, I can actually feel the love that you’ve put into creating this dish and the presentation is truly exceptional !!!!! Your family is surely blessed with all of your wonderful creations. 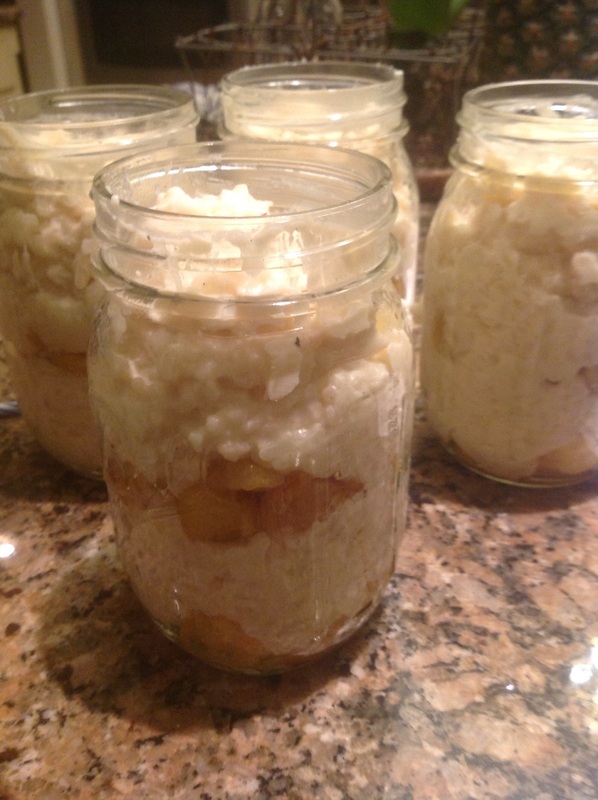 I love mason jar puddings too! This rice pudding looks wonderful Johanne!! & I love that stand! wonderful dessert and presentation. I have all sizes of mason jars–I think I’ll make this in the half pint jar. My husband loves that pineapple-coconut combination. Half pint size is a perfect serving size Nancy. I wanted to use that caddy and had to go up in size. But we ate it all up! Oink oink. Mercy Johanne these look so fun! I am a lover of rice pudding and this recipe of yours sounds particularly tasty. You are a sweet wife to make this for your sweet man! These look amazing, but would probably have to be my dinner! 🙂 I’m very interested in those coconut chips, too…I do a buche de noel every year and shave and toast coconut for the garnish, but these would be so much better. What are they? Are they sold with the things like dried pineapple, apple, cherries, etc.? Yes they are sold at Trader Joe’s with all the dried fruit. They taste amazing! Freshly toasted coconut would be just as good I bet. Do you have a TJ? Trader Joes – ha! Too tempting! 🙂 I forget about them, then buy too much! I love tropical flavors. I should live on an island instead of the high desert. Here’s your pineapple coconut! Sounds delicious! You didn’t bring this to FF? I don’t think I saw it, unless my eyes are a goner, too! I missed the change of site notice when I was out of the country and didn’t realize FF was on the new site last week. Can post it today if you like but it is a week old. 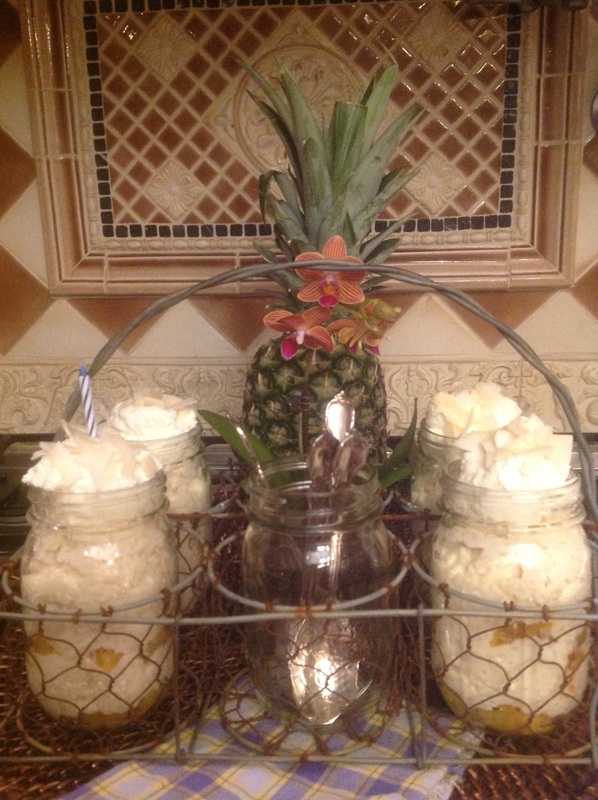 The mason jars would look so darling with one of your pineapple flowers Angie! Happy Easter! !